I heard about this collection from one of my favourite blogs The Sunday Girl, and from what I gathered from her post, they have essentially picked their best selling items over the last five years and repackaged them in gorgeous rose gold rather than the normal (and very cute) black spots and stripes. Even the cardboard packaging is black, rose gold and classy! (more empty boxes to store and admire). 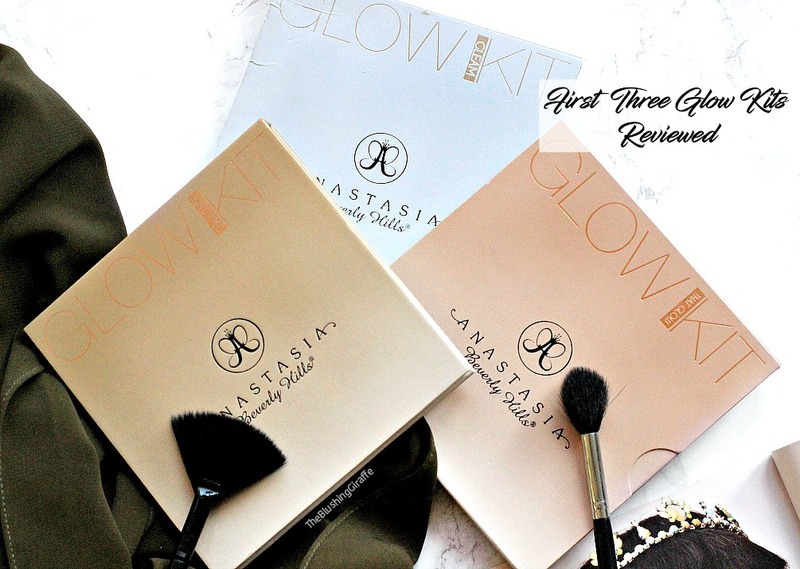 Before my recent splurges I owned one blush and a glow pot in gleam which I reviewed here and I think the quality is awesome for the price but of course with student discount - even better! I bought my first cream blush from the brand in the well known shade ‘Head Over Heels’ (£7.00). Aside from the gorgeous rose gold polka dots, the shade is a beautiful cross between medium pink and peach. I can’t wait to wear it and upon first swatch it’s creamy and blends like a dream. I did have a look through the lipsticks and though they’re beautiful I didn’t want to splurge on one because none of the shades from this collection really grabbed me if you know what I mean. I seem to have accumulated quite a few lippies as of late and I don’t need to add any more right now. Instead another glow pot caught my eye, this time in the shade Polished (£9.00) which I had coincidentally seen the lovely YouTuber Kaush talk about a few days before. She was saying it was one of her favourite highlighters but she saves it as it’s limited edition, much to my delight it’s now available for a short while in their beautiful rose gold packaging! I also bought another one for one of YOU lovely readers! It’ll be in my 2 year giveaway in July so keep an eye out because what’s better than winning a L/E makeup item?? hehe. I also picked up the Magic Liner in Engraved (£6.50), I’m still on the hunt for the perfect liner and I figured I would give this a shot. The applicator is beautiful, just look how precise it is! It looks very easy to use as well as being super pigmented so I have high hopes and I shall report back soon. Again the fact that ‘magic pen’ is written in Rose Gold probably influenced my decision, but can you really blame me?! The final thing I bought was one of their nail polishes in a shade I am lacking but always need for Asian weddings - Heart of Gold (£6.00) which is a stunning antique like shade, and I’m loving the rose gold dots on this too *insert heart eyes emoji* There is just something about Rose Gold that makes everything so luxe, and these items are not only pretty on the outside, but have great things on the inside too - students take advantage! So there are my picks from the Topshop 5 years of beauty collection and you can shop the rest of it here, anything catch your eye?